ARC Investments is a permanent capital vehicle that was listed on the JSE on 7 September 2017. It is designed to offer public shareholders long-term capital appreciation by enabling them to invest in a permanently broad-based Black-controlled investment entity with a diversified indirectly held underlying portfolio of investments. The targeted initial capital raising by ARC Investments will fund existing commitments and an investment pipeline. Since it was listed on the JSE, ARC is expected to be at least a 53% shareholder in ARC Investments. ARC Investments offers access to ARC’s investment portfolio and future investments in companies across various industries, as well as an opportunity to participate in the growth and value creation of a company from a relatively early stage. We provide the opportunity to invest alongside ARC through a listed platform by providing investors with liquidity through an efficient structure. ARC and the general partner of the ARC Fund provide B-BBEE credentials and professional networks that allow ARC Investments to access assets not otherwise available for sale, and to seek a BEE discount in exchange for an investment lock-in period. 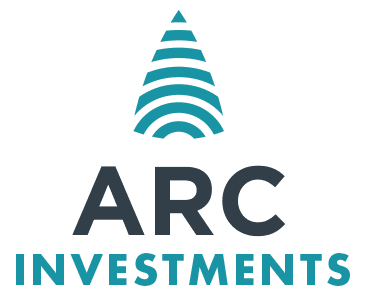 ARC Investments interest in ARC Fund is subject to a market-related fee structure designed to minimise cash drag and align incentives, and a value investment that is expected to be realised over time as lock-in discounts unwind and investments in smaller ventures reach scale. ELECTRONIC VERSIONS OF THE MATERIALS THAT YOU ARE SEEKING TO ACCESS ARE BEING MADE AVAILABLE ON THIS WEBPAGE BY AFRICAN RAINBOW CAPITAL INVESTMENTS LIMITED IN GOOD FAITH AND FOR INFORMATION PURPOSES ONLY. THESE MATERIALS ARE NOT DIRECTED AT, OR ACCESSIBLE BY, PERSONS LOCATED IN AUSTRALIA, CANADA, JAPAN OR THE UNITED STATES. Please read this notice carefully - it applies to all persons who view this webpage. Please note that the disclaimer set out below may be altered or updated, from time to time. You should thus read it in full each time you visit the site. Viewing the materials you seek to access may not be lawful in certain jurisdictions. In other jurisdictions, only certain categories of persons may be allowed to view these materials. Any person who wishes to view these materials must first satisfy themselves that they are not subject to any local requirements that prohibit or restrict them from doing so. In particular, unless otherwise determined by African Rainbow Capital Investments Limited (“ARC Investments”) and permitted by applicable laws and regulations, it is not intended, subject to certain exceptions, that any offering of the securities mentioned in these materials ("Securities") by African Rainbow Capital Proprietary Limited ("ARC") and ARC Investments would be made, or any documentation be sent, directly or indirectly, in or into Australia, Canada, Japan or the United States. There will be no public offer of any securities in any jurisdiction. These materials do not constitute or form a part of any offer or solicitation to purchase or subscribe for securities in the United States or in any jurisdiction in which such offer or solicitation would be unlawful prior to registration or qualification under the securities laws of any such jurisdiction. The Securities mentioned herein have not been and will not be registered under the US Securities Act of 1933, as amended, ( “US Securities Act”) and may not be offered, sold, resold, delivered or distributed, directly or indirectly, in or into the United States or to, or for the account or benefit of, US persons (as defined in Regulation S under the US Securities Act). The Securities will not be registered under applicable securities laws of any state, province, territory, county or jurisdiction of Australia, Canada or Japan. Accordingly, unless an exemption under the relevant securities law is applicable, the Securities may not be offered, sold, resold, delivered or distributed, directly or indirectly, in or into Australia, Canada, Japan or any other jurisdiction if to do so would constitute a violation of the applicable laws of, or require registration thereof in, such jurisdiction. These materials do not constitute, or form a part of, and should not be construed as, an advertisement, invitation, solicitation and/or offer to sell, issue, purchase or subscribe for, any Securities in South Africa, including an offer to the public as defined in the South African Companies Act, 71 of 2008, as amended, (“South African Companies Act”) or otherwise. These materials will not be distributed to any person in South Africa in any manner that could be construed as an offer to the public in terms of the South African Companies Act. These materials do not constitute a prospectus registered and/or issued in terms of the South African Companies Act. The information contained in these materials constitutes factual information as contemplated in section 1(3)(a) of the South African Financial Advisory and Intermediary Services Act, 37 of 2002, as amended, ("FAIS Act") and should not be construed as an express or implied recommendation, guide or proposal that any particular transaction in respect of the Securities or in relation to the business or future investments of ARC Investments is appropriate to the particular investment objectives, financial situations or needs of a prospective investor, and nothing in these materials should be construed as constituting the canvassing for, or marketing or advertising of, financial services in South Africa. ARC Investments is not a financial services provider licensed as such under the FAIS Act. Neither these materials nor any other information contained in it relating to the Securities may be treated as a prospectus for the purpose of the Mauritian Securities Act 2005 or be released or issued to the public in Mauritius or be used in connection with any offer to the public in Mauritius. Moreover, these materials do not constitute, or form a part of, and should not be construed as, an advertisement, invitation, solicitation and/or offer to sell, issue, purchase or subscribe for, any Securities in Mauritius and do not constitute an offer made to the public in Mauritius to subscribe for, or purchase, the Securities. ARC Investments is not a financial services provider licensed as such under the laws of Mauritius. No representation or warranty, express or implied, is made by ARC, the en commandite partnership to be established in South Africa to which ARC Investments will make a capital contribution ("ARC Fund"), ARC Investments, the general partner of the ARC Fund ("General Partner") or Rand Merchant Bank, a division of FirstRand Bank Limited, ("Rand Merchant Bank") as to the truth, accuracy, fairness, completeness (or whether any information has been omitted from these materials) or verification of the information set out in these materials, and nothing contained in these materials is, or shall be relied upon as, a promise or representation in this respect, whether as to the past or the future. ARC, the ARC Fund, ARC Investments, the General Partner and Rand Merchant Bank assume no responsibility for the accuracy, completeness or verification of these materials and accordingly disclaim, to the fullest extent permitted by applicable laws and regulations, any and all liability whether arising in delict, tort, contract or otherwise which they might otherwise be found to have in respect of these materials or any such statement. Access to electronic versions of these materials is being made available on this webpage by ARC Investments in good faith and for information purposes only. Any person seeking access to this webpage represents and warrants to ARC Investments that they are doing so for information purposes only. Making press announcements and other documents available in electronic format does not constitute an offer to sell or the solicitation of an offer to buy Securities in ARC Investments. Further, it does not constitute a recommendation by ARC Investments or any other party to subscribe for, sell or buy Securities. Electronic versions of these materials are not directed at, or accessible by, persons located in Australia, Canada, Japan or the United States or any other restricted jurisdiction. By clicking on the “Agree” button, I certify that I am not located in Australia, Canada, Japan or the United States or any other restricted jurisdiction. Please confirm your location here. Select a country or a territory?